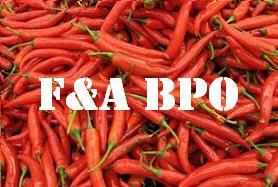 As we picked up on here a few weeks ago, the F&A BPO market has had a red hot 2007, and this growth is continuing into this year. The market saw a 30% growth in expenditure, a 20% growth in total contracts, and new contract expenditure totaling close to $4bn in contract value. So a record year and a critical mass is being reached. The barriers to entry in this market are getting harder and we're getting a clearer picture of how this could play out. So, what's driving this, and who are the key players? Read my aticle in the new issue of FAOToday magazine. In F&A outsourcing it is important that the BPO partner has a strong technology backbone to be able to optimize and integrate the discrete applications that are running within the client enterprise across various platforms and versions. (This is in specially true in case of companies who have grown through M&A activity). The vendor needs to have experience in working with Fortune 1000 companies in the Enterprise Solutions space and should have Centers of Excellence (CoEs) dedicated to various ERP solutions. This will help the BPO vendor seamlessly integrate the various ERP instances running across different geographies within the client enterprise, can look at deploying its proprietary tools and components on these systems and synchronize them with BPO vendor's technology platform where required. Increasingly, you will see enterprises outsourcing f&a to vendors who have the above expertise in place and are able tp provide tangible business benefits.